A group of travelers exploring the Tropical Rain Forests of Andaman. Sometimes it is fun picking out photographs from your collection matching with a particular theme. Randomly I selected "Into the Wild" as today's theme and I must confess that it's never easy for a hobbyist clicker to choose a couple of photos from his hard-drive which would fit a random theme. Reason is quite simple- we amateurs and point & shooters do not usually plan photographic sessions and added to that we hardly bother to categorize our hunts. 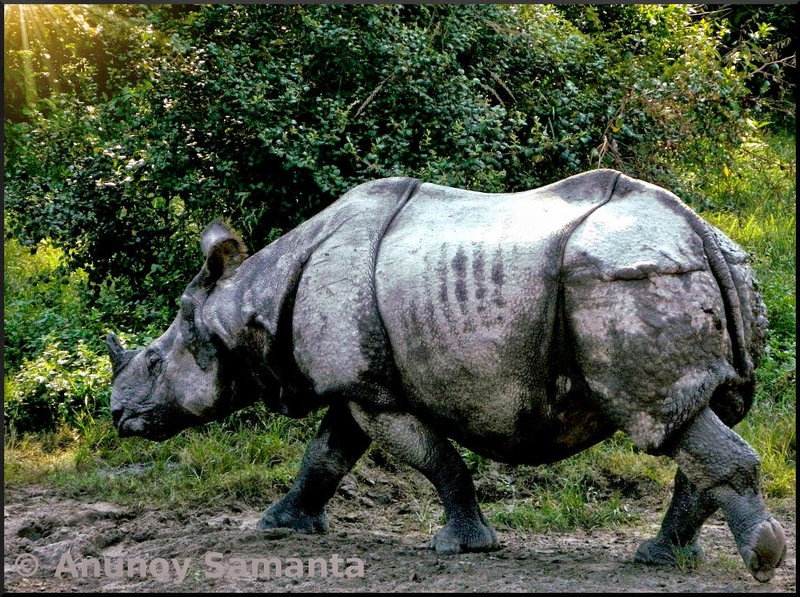 An Indian one-horned Rhinoceros of Jaldapara National Park. Anyway, today I crossed the bridge somehow. Someday when I run out of life I would walk into the wild in search of my lost soul and eloped heart... Oops is it getting melodramatic? Don't worry, I'll come up with a philosophical theme for my next photo post (I wish there was a provision to wink!). A departing Elephant of Bardia National Park. loved the first two pics more than the last one.